Beautifully handcrafted, our transfer sheets will leave your chocolate creation with an amazingly clear print. 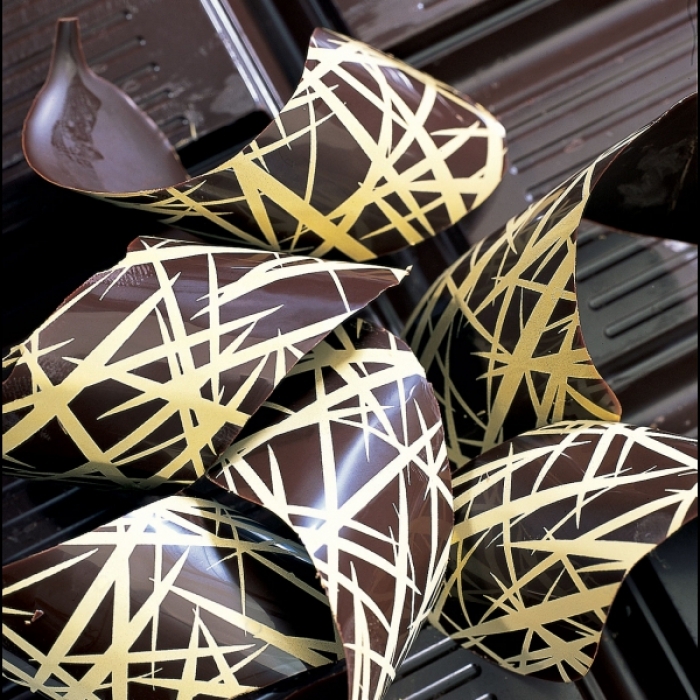 A lovely bamboo design great for darker styled chocolate. How do they work? You place melted chocolate onto chocolate transfer sheets. Let the chocolate set (20 mins in the fridge) and then remove the plastic sheet, leaving the cocoa butter design on the chocolate.